We have been trying to get to Lake Bled, Slovenia for a year. Last year we were packed and on our way to the bank when a light on the dashboard began flashing--we didn't have a car for the next 10 days. In August we tried again, but I waited till the last minute to book a hotel and if there is one thing I've learned in Europe, you can not wait until the last minute in August when the whole continent is on holiday. Finally, in September we realized our goal and what a treat! 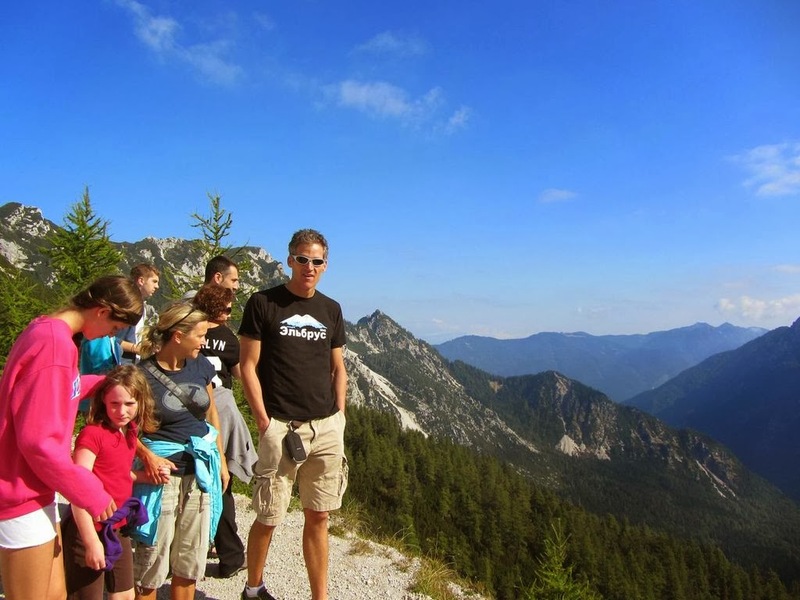 Day one we took a guided tour of Triglav National Park with Amigo. The area deserves at least a weekend, longer if you plan to do any hiking. Time: 8am-6pm--This trip is a lot of driving! Tip: If you have your own transportation, I would google search the driving route and do it myself, thus saving a bundle of money. 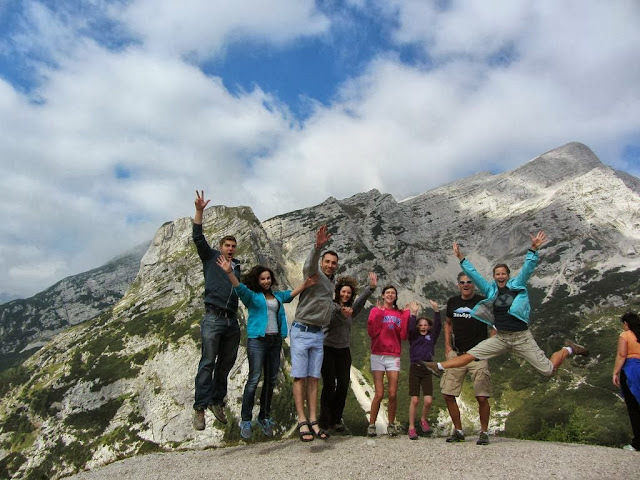 We had a really fun time and the rafting was a blast, but our guide was not that good. Nice enough, but the only reason I got any historic information out of him is because I was sitting next to him the entire day. 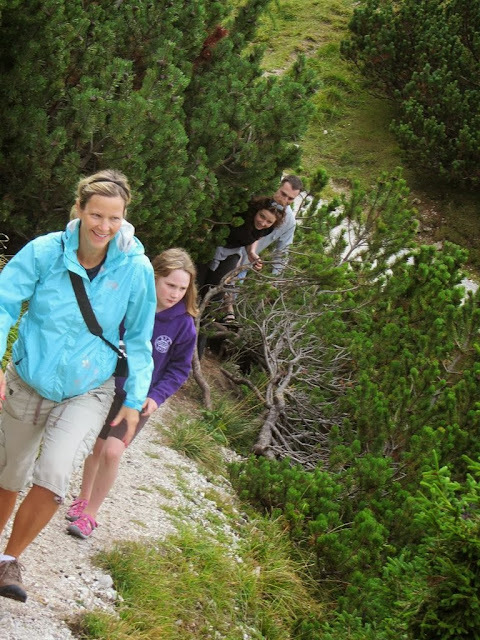 All guided tours take you up into the mountains across the Julian Alps. Russian prisoners built this road back around the time of the first World War and at every switchback the original paving is still visible. There are a total of 51 switchbacks. 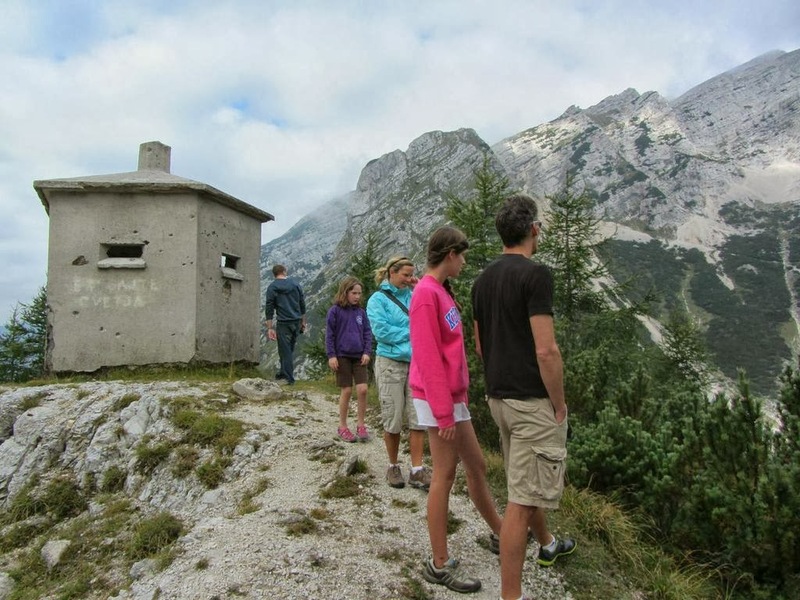 That hut is a watch/guard tower from WW1. What were they protecting way up in the mountains? The trade route of course! 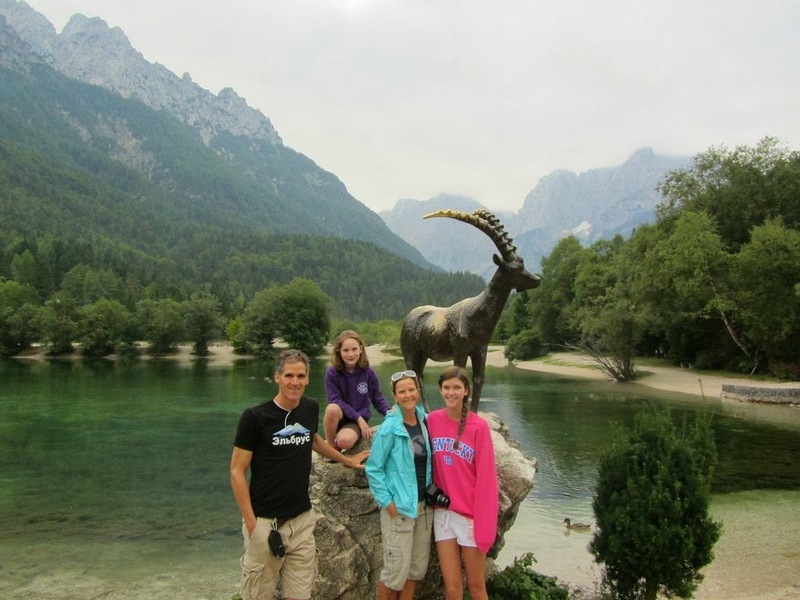 Slovenia is nestled in between Italy, Austria and Croatia. Here's my little soldier (or should I say Charlie's Angel) pointing her gun. Can you see the face in the mountain? The ram/goat is supposed to bring luck.